First of all, who the hell is Frank?! This body scrub aims at reducing cellulite (AMEN SISTER), stretch marks, psoriasis, acne & other annoying things. Feel free to read up more about the scrub on the Frank website. Now, because I am a cheapskate & also love to create my own DIY facial & body treatments (yes, I was one of those kids who created perfume & face masks out of dirt and flowers) I decided to give my own a try! All measurements were just eyeballed because... yolo... that's why. So about 3 tablespoons of sugar, 2 tablespoons of rock salt, 4 tablespoons of ground coffee & enough coconut oil to make the mixture lumpy. Don't add to much incase it becomes runny. I applied mine in the shower after rinsing off and opening up all my pores. I scrubbed all over including my face. You should know something about me, I tried coffee for the first time on Friday (thank you to my lovely barista boyfriend) but surprise surprise I'm not a fan! So, being covered in coffee for a few minutes was making me gag. It was all worth it though, I still currently smell like coffee (an hour after my shower) but gosh dang my skin is soft! I didn't feel the need to apply any moisturiser as my skin was super soft already. I think i'll go ahead and try a better smelling coffee next time or maybe add a few drops of lavender oil to the mix! 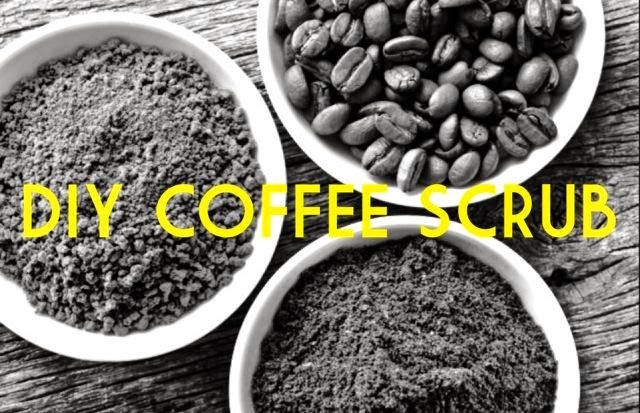 Let me know how you go and what you think of the DIY: Frank Coffee Scrub!